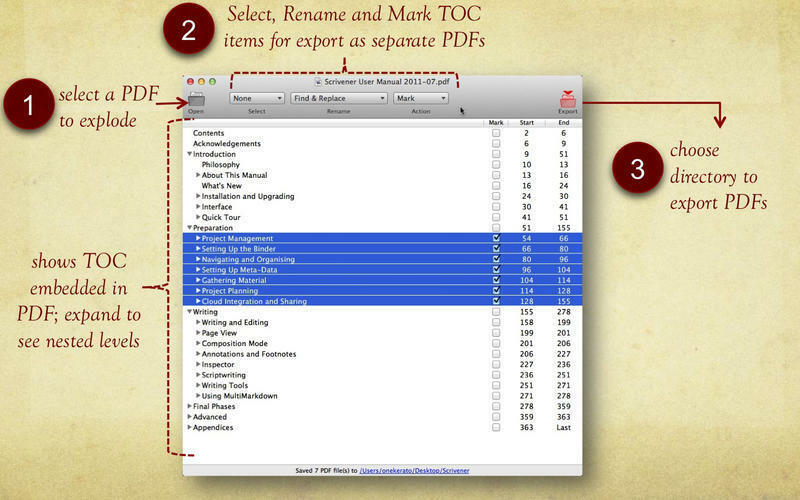 Extract chapters and sections from PDF documents using the Table of Contents. Is there a better alternative to PDFExplode? Is PDFExplode really the best app in File Management category? Will PDFExplode work good on macOS 10.13.4? 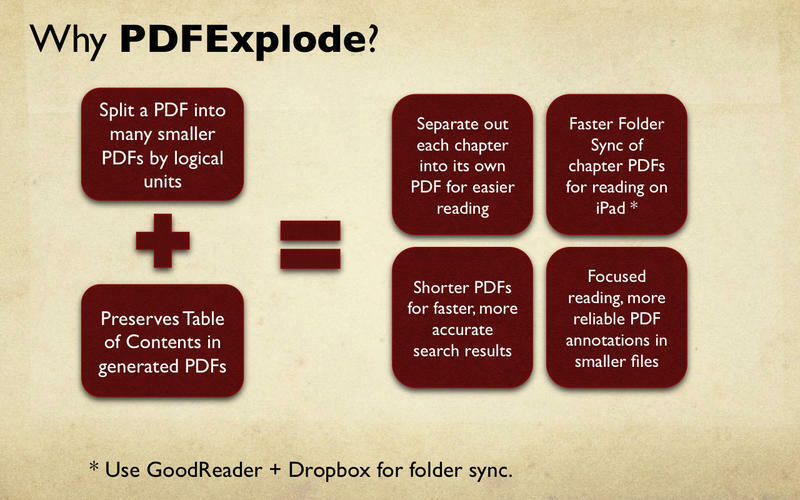 PDFExplode lets you explode your large PDF into many PDFs. Extract pages corresponding to any Table of Contents (TOC) entry in your PDF. For example, extract PDF of any or each chapter in a long PDF text or manual. Note: The downloadable demo is at 1.0. The version available for purchase on the Mac App Store is version 1.2.1. Bug fix for popup toolbar buttons not working correctly on macOS Sierra. PDFExplode needs a review. Be the first to review this app and get the discussion started! PDFExplode needs a rating. Be the first to rate this app and get the discussion started!